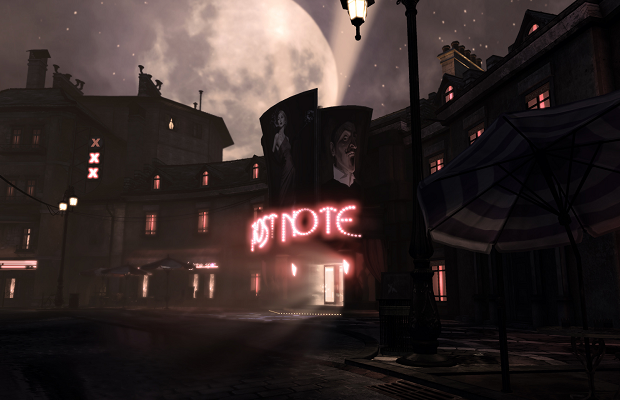 According to the newly revealed Steam page, the 1920s inspired puzzle-platformer Contrast will release November 15. Anyone who buys ahead of time will save $5, and receive a digital programme and soundtrack. Contrast will allow players to switch between two different characters in both a 3D and 2D world. As Didi you’ll wander the 3D space manipulating light sources, which her companion Dawn will then utilize as she jumps from shadow to shadow. As you explore the noir setting you’ll unravel the story behind Didi and her troubled family. While the PC date is all that’s known currently, Contrast is being developed for the 360, PS3, and PS4 as well.